If you live in Surrey and are looking for local self-storage near Staines, we can offer a range of storage solutions from our local storage businesses. Here at Lok’nStore, our storage operations run throughout the South East of England. Ever since our establishment as one of the first self-storage companies in 1995, we have been able to offer affordable storage options to a range of customers throughout the region; continuing to expand our business. From online companies seeking valuable warehouse space, to vehicle storage and more, we pride ourselves on our ability to cater to the needs of all our clients. Whether you are a business or private owner of goods, our storage is provided to suit a variety of requirements. Our storage is flexible to suit your needs. Whether you are looking for long or short-term use of our storage space, we are confident we have the storage solution for your budget. 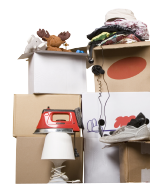 No matter if you’re moving house or storing stock, we are confident we have the right size storage space for you. If you would like to know more about our self-storage offers near Staines, you can give us a call on 0800 587 3322. Alternatively, you can email us at info@loknstore.co.uk.